You know that giant billboard on Highway 101 announcing the first annual Cannabis Country Fair? Prepare to have your vibe harshed, because the event just got canceled. Announced by Emerald Cup founder Tim Blake in May, the fair was slated for July 21-23 at Black Oak Ranch in Laytonville. Big name music acts including Thievery Corporation and Portugal were on the roster, along with more than 100 food and cannabis vendors, speakers and camping at the historic Mendocino ranch. “Due to a short production time frame, promotional hurdles and challenging situations for our cannabis farmers, we have unfortunately decided to cancel this year’s inaugural Cannabis Country Fair,” said Blake in a press release sent out today. “This was a difficult decision for our team to make. We realize that our industry is going through rapid changes that are impacting every aspect of our lives. We strive to create the best onsite experience for our festival patrons to unite the cannabis community in a safe, inspiring and beautiful space. Providing this unique event experience is very important to us,” he added. With more than 400-acres, the ranch has long been a home to offbeat festivals including Kate Wolf, Gaia, Earthdance and the summer home for Wavy Gravy’s Camp Winnarainbow. 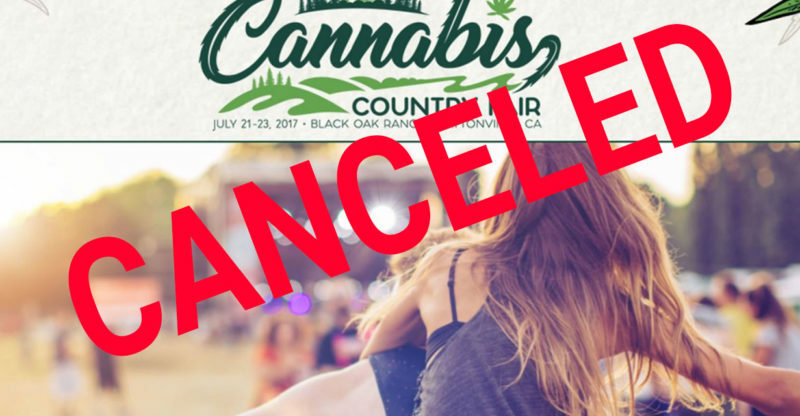 Tickets were selling for $285 for three-day passes, and organizers said that refunds will be given at the point of purchase. Between 4-5,000 attendees were anticipated for each of the three days. 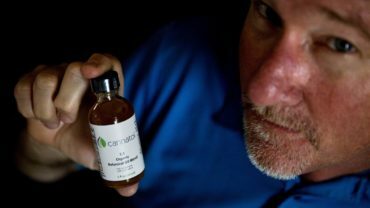 The event was to be a kick-off for a new kind of judging, based on terpene profiles rather than broader categories of flowers, concentrates, Sativa or Indica. Blake did say that he would be moving forward with this year’s Emerald Cup, taking place December 9-10, 2017 at the Sonoma County Fairgrounds.